Marvelous Europe has announced it’ll be releasing Assault Gunners HD Edition on July 5, 2018 for Nintendo Switch. Assault Gunners HD Edition will be sold at Nintendo eShop in three different variations – standalone game, Extra Pack (DLC), and Complete Set (standalone game + extra pack). Check out the trailer, prices, and details below. 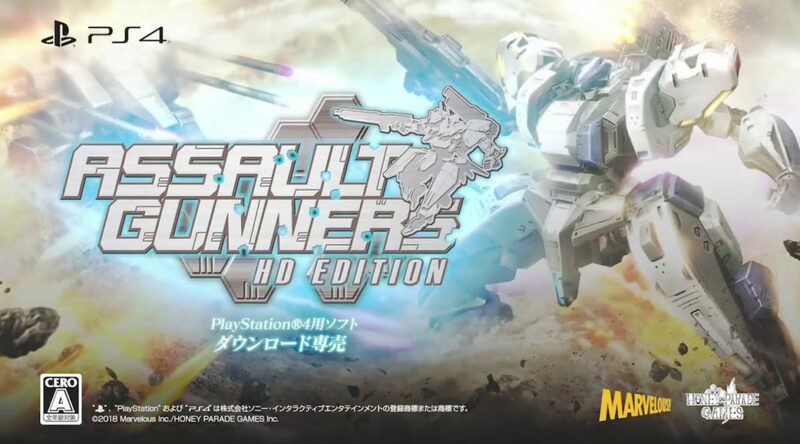 ▪ 4 fully voice acted Navigators by renowned Japanese VA Alternatively those wishing to have the ‘definitive’ ASSAULT GUNNERS HD EDITION experience will be able to purchase ASSAULT GUNNERS HD EDITION COMPLETE SET, a bundle which contains all of the aforementioned content in a single purchase.